How to Edit A Reaction Paper. 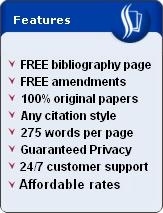 Follow these steps if you want to improve your essay. First, proofread for errors in grammar. This is a necessary initial step. Proofreading is indispensable when editing your reaction paper because it can affect the sense of what you are saying. Inappropriate words or phrases can significantly alter your message. If that happens, your reaction paper will carry a different tune, so to speak. 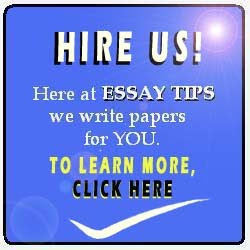 Instead of conveying the idea that you want to say, your essay might turn out to deliver another idea. The next step to editing your reaction paper is to organize your ideas. In other words, you should group your main thoughts into separate paragraphs. Doing so gives direction to the flow of your thoughts. Typically, the introduction should explain the controversy or topic. The next paragraph should be an elucidation of your position. This should be in the form of a supporting statement, complete with premises and evidence. The succeeding paragraphs should further explain your reaction. End with a conclusion that restates your claim. In editing your reaction paper, make sure that you also consider the possible rebuttals. This gives a sense of fairness to your discussion. Otherwise, disregarding the opposition can make your reaction paper appear too proud and seemingly infallible. Remember, however, that there are always two sides to any issue. Recognizing rebuttals can help you persuade your readers to take your side by showing why the opposition is mistaken. Whenever possible, use qualifiers, which are words that qualify a statement. Common qualifiers include some, most, many, in some cases, and sometimes. In editing your reaction paper, identify which statements need qualifiers so that they will be more realistic. Doing so can make your essay grounded on actual human experience. Finally, consider the weak points in your claim. Discuss them in a separate paragraph just before the conclusion, and then show why they do not refute your thesis. Note that any claim has its weak side. This is normal. By discussing it in your reaction paper, you will be able to anticipate criticism and address it ahead of time.